During the 18th Century this area was composed primarily of farms with at least 2 saw mills built along the West River. Early in the nineteenth century, mills began to be established along the Douglas Pike from Twin Rivers to Providence line. In 1814, Wilbur Kelley built a 2 story stone factory and a stone gambrel-roof dwelling to the east of the present Route 7 on a tributary of the West River. A grist mill was established in 1834 below the Wenscott Reservoir and Otis Angell built a stone factory on the West Riverc. 1846, which James Hilton was using as a bleachery by 1868. The man whom Woodville was named, John B. Wood, built a factory in 1846 at what is now known as the Woodville four corners. He manufactured “coconut dippers”. This mill passed in 1852 to Clark and Gideon, manufacturers of cotton and finally to the Dempsey brothers, who ran a bleaching and dying operation. Before it burned in 1882, it employed one hundred workers and ran on steam power. 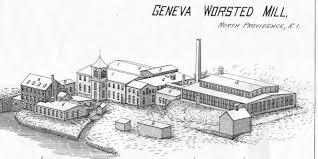 A mill was also opened at Geneva in 1827 by Edward S. Rhodes and sold to David Heaton and Martin K. Cowing in 1832. A LOOK AT GENEVA MILLS PROPERTY IN 1919. 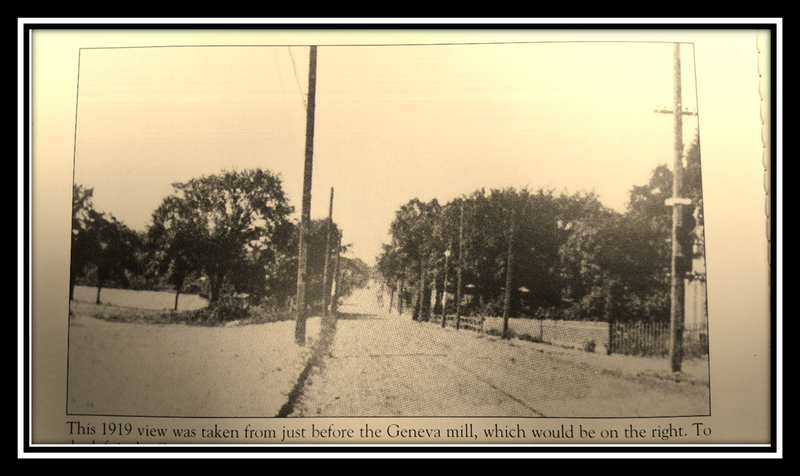 The view shows Douglas avenue before the mill with the Geneva Pond on the left and Geneva Mills up ahead on the right. On the Providence, North Providence Line. 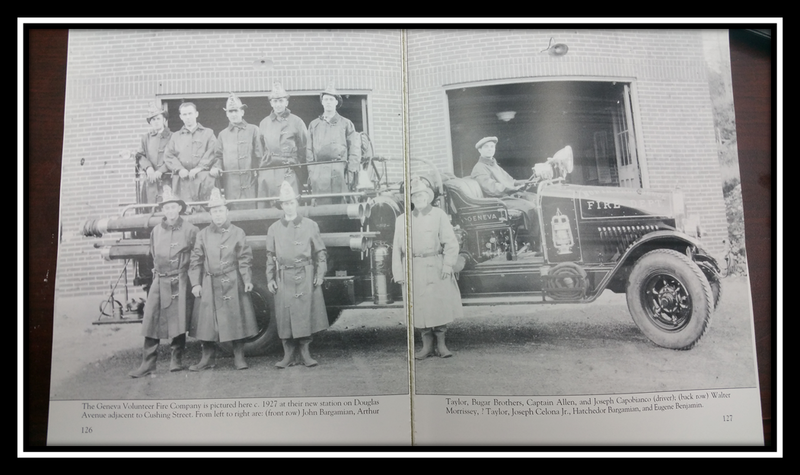 Below is a picture of the Geneva Volunteer Fire Company pictured here in 1927. K. Cowing (1807-1891) purchased a mill privilege on the West River in what was then part of North Providence. Although the waterpower of the West River was limited, the site was sufficient for a small manufacturing operation and convenient to transportation routes such as the Douglas Turnpike (laid out in 1807) and the Mineral Spring Turnpike (1826). The two partners immediately erected a small mill and began to manufacture cotton cloth under the name of Heaton & Cowing. Q. Now about that pond on the west side of the river there at your place—Geneva. How is that fed? Additional History – Geneva Mills over the past 40 years has been home to RN Koch, a jewelry manufacturer which employed over 300 employees, and Symmetry Products Group, Foam Technology which until had 150 employees manufacturing foam products and architectural and decorative products for the residential and commercial construction industry. 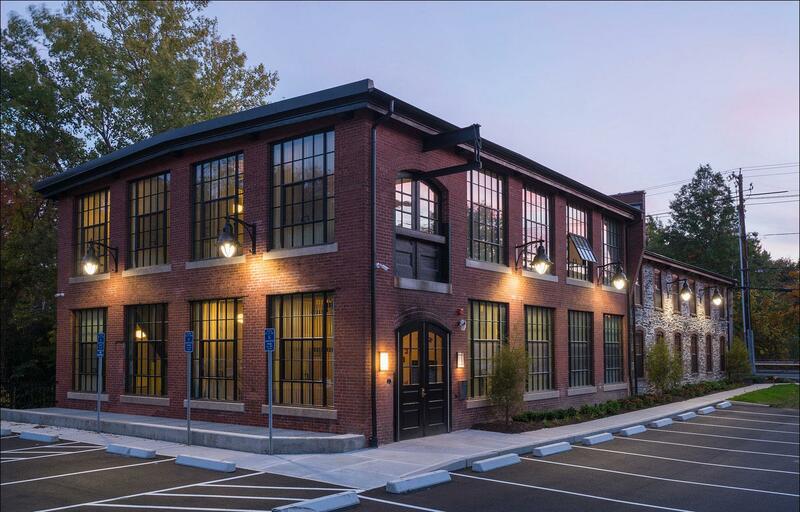 Symmetry Products moved to Lincoln, Rhode Island and the Owner Steven A. Lancia, formed a company Immortal Land Development to further develop the property into beautiful loft living spaces and a supporting community of forward thinking residence. The property is being restored as a gated community private ground lined with vintage street lights, roads and surrounded by streams and trees on the Providence, North Providence line. 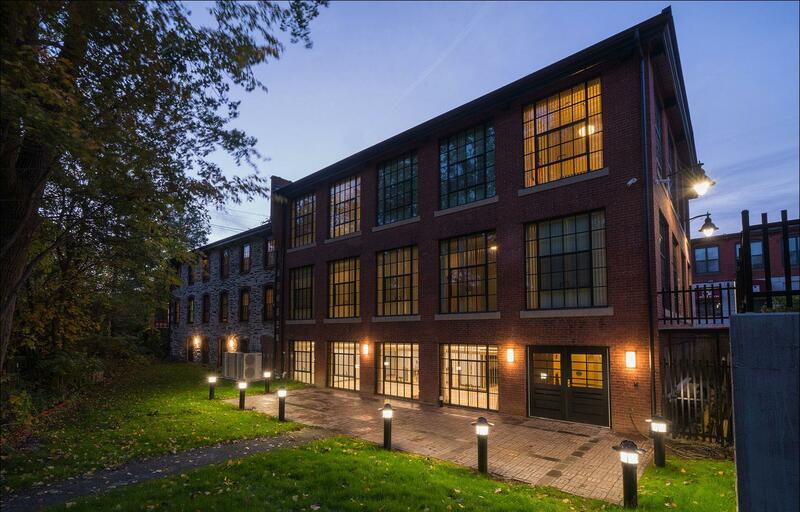 The historic property is mixed use, and the addition of the Gateway Building, an original structure on the west side of Geneva Mills, it is being developed to provide live work and industrial lofts for thriving artists and entrepreneurs. 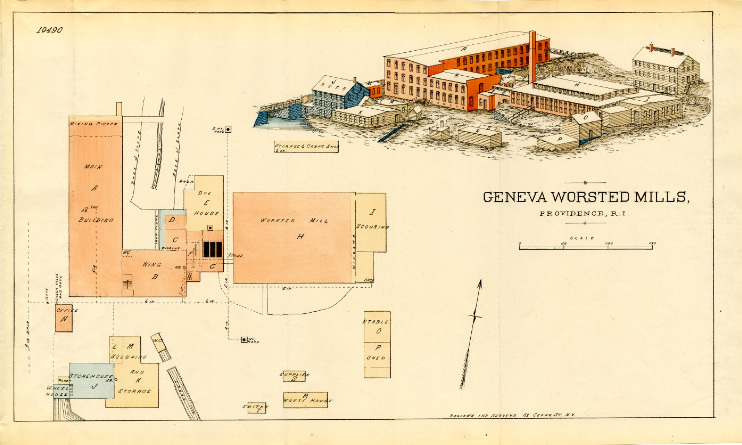 THIS INSURANCE DRAWING SHOWS GENEVA WORSTED MILLS AS A COMPLETE STRUCTURE WHERE EMPLOYEES LIVED AROUND AND ON THE MILL PROPERTY. THE FOLLOWING DATES CHANGED LIVES AT GENEVA IN THE LATE 1800 WITH FIRE AND REBUILDING OF THE MILL. PROVIDENCE, R. I., January 3.–The main buildings of the Geneva worsted mill were burned this forenoon. Saccoccio & Associates has completed the historic renovation of the Heaton and Cowing Mill in Providence, creating 20 units of veterans housing.The project was created by the Blackstone Valley Development Corporation (BVDC), the development arm of the Arc of Blackstone Valley. The BVDC utilized federal, state and city programs to reclaim the historic mill and the surrounding area. 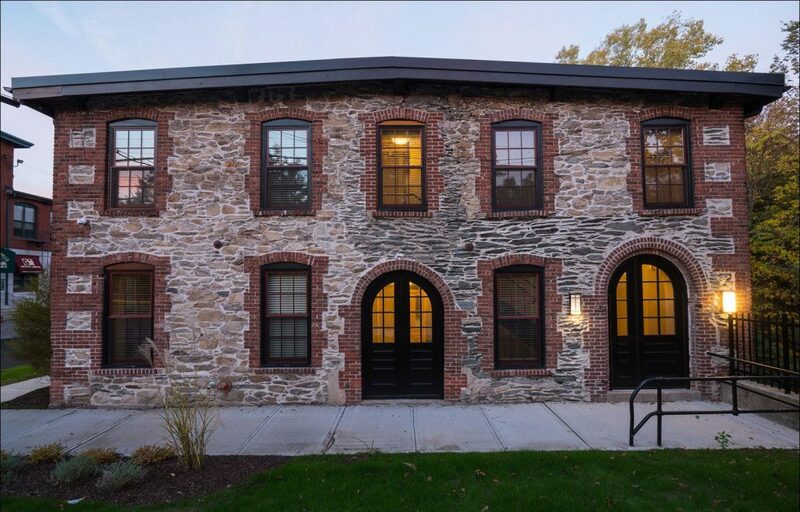 Saccoccio & Associates converted the abandoned mill into 19 one-bedroom micro apartments and one efficiency unit, ranging from 250 to 400 square feet. Located at 1115 Douglas Avenue near the North Providence line, the complex includes common areas, a community space to be used for education and job training and a landscaped outdoor area along the West River. The original three-story building was built in 1832 and is “a rare example of a small scale early- to mid- 19th century textile factory,” according to the RI Historic Commission.